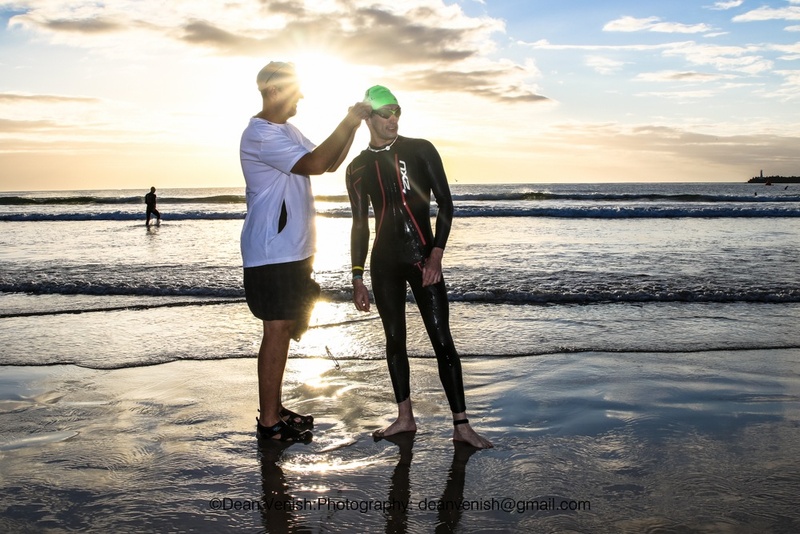 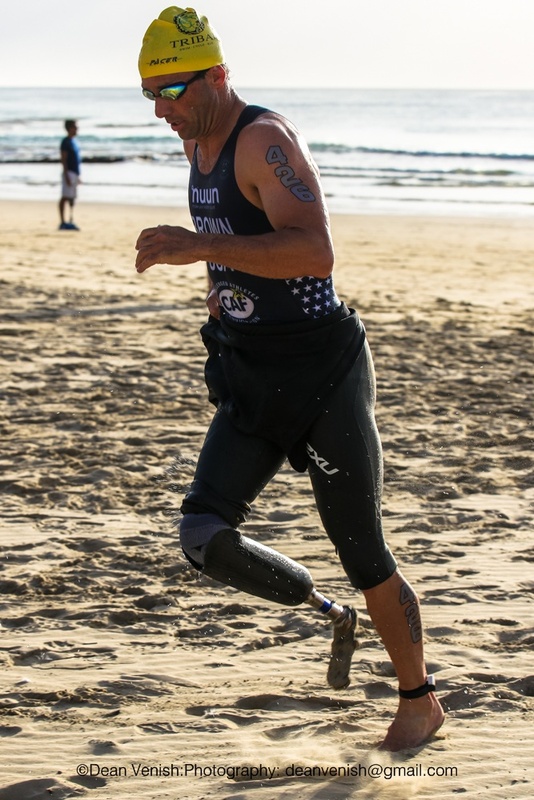 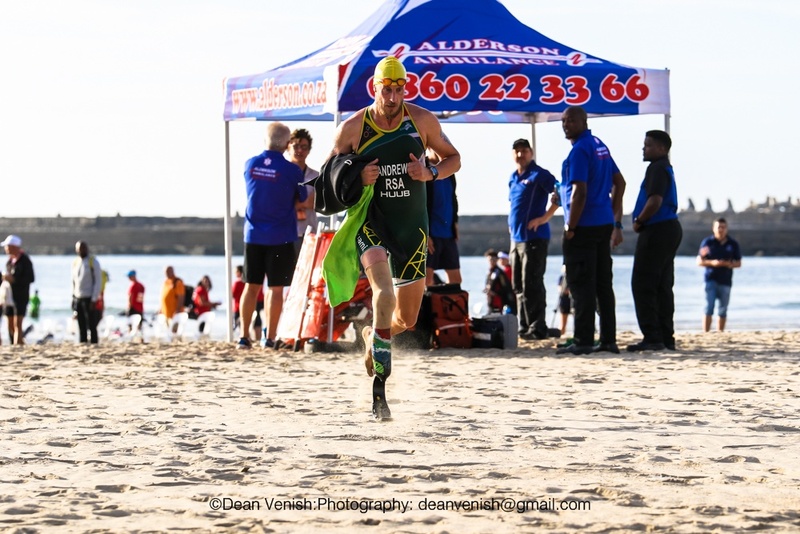 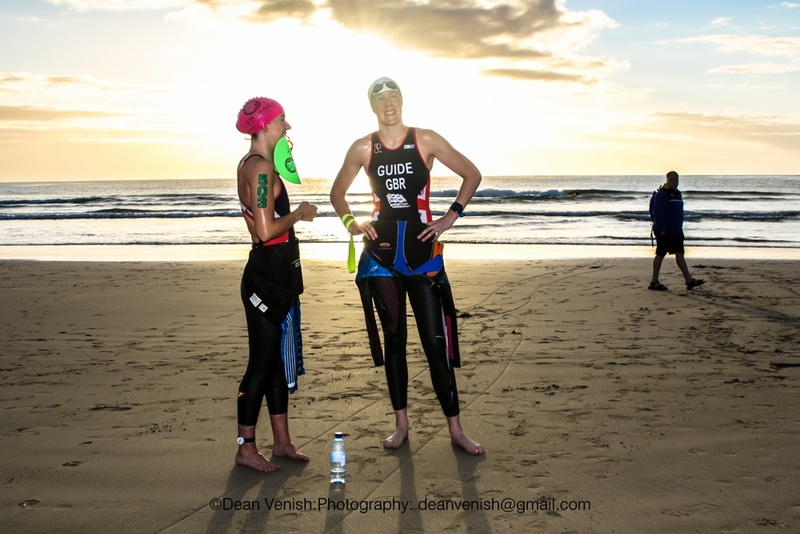 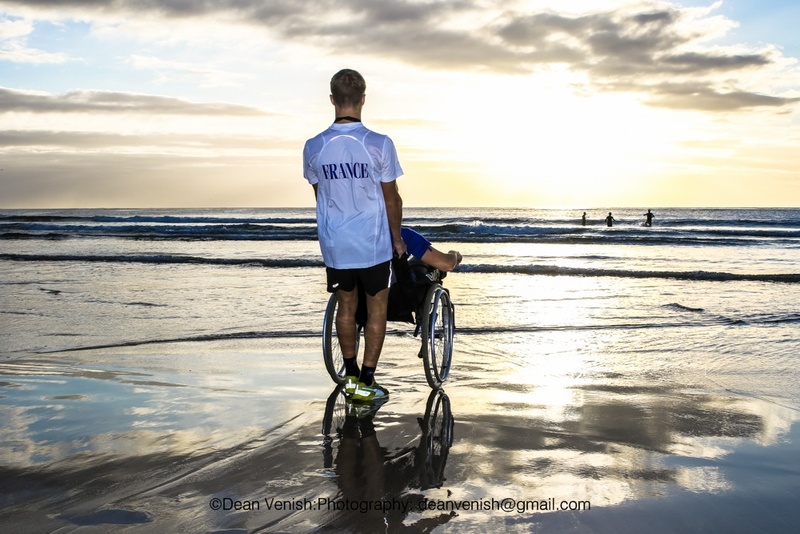 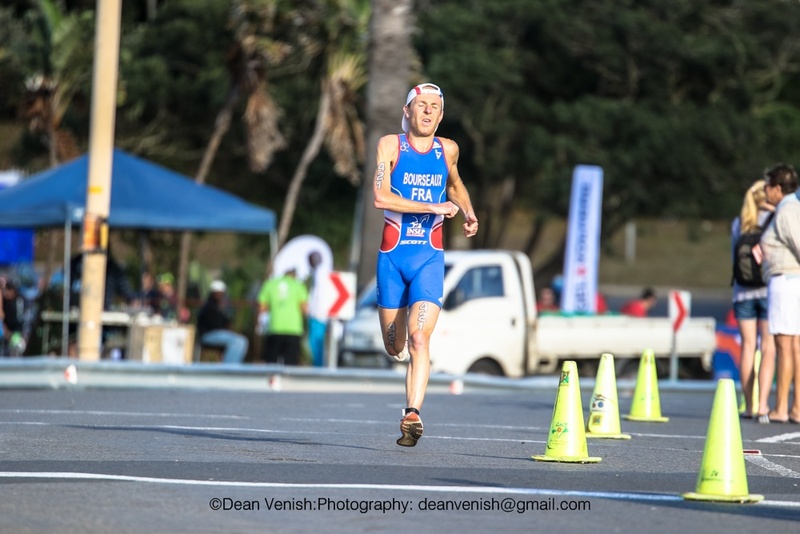 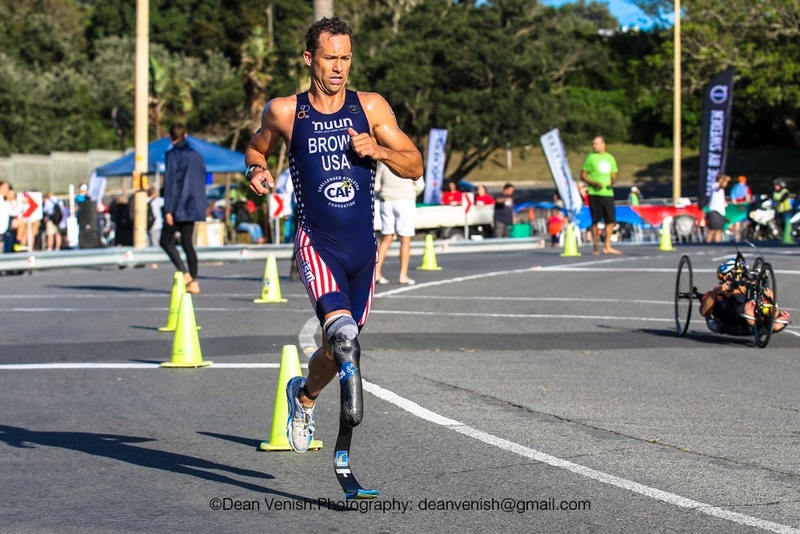 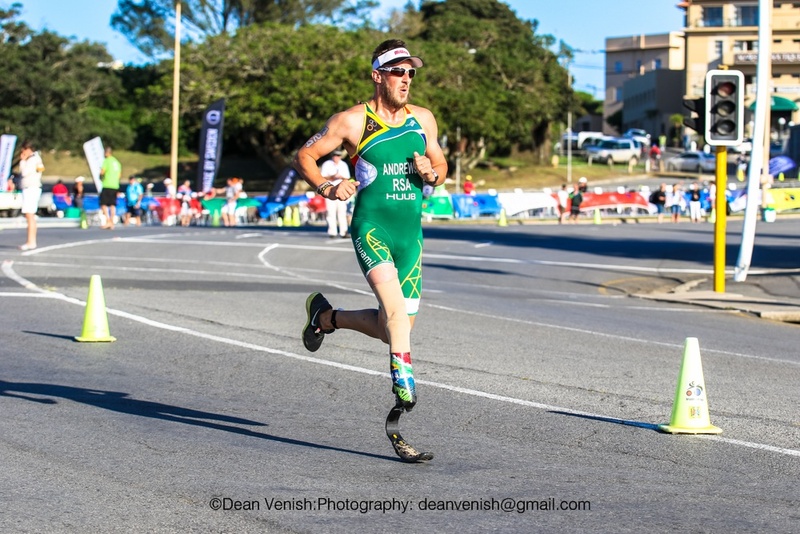 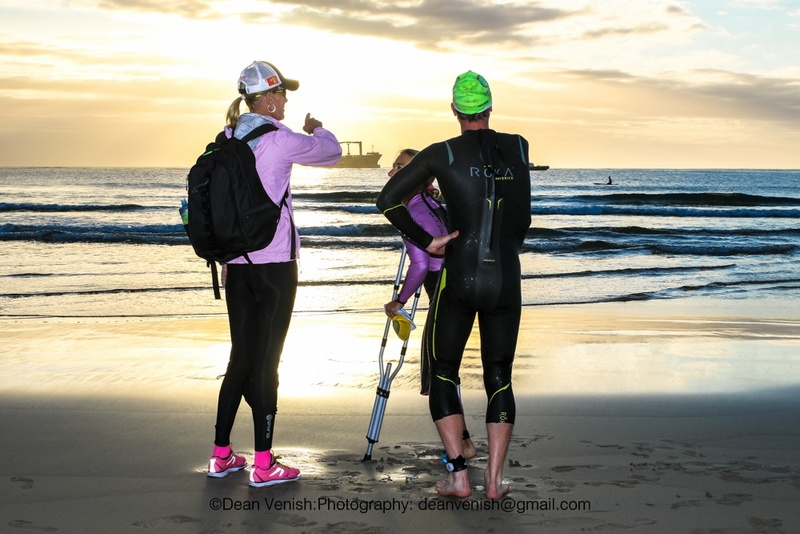 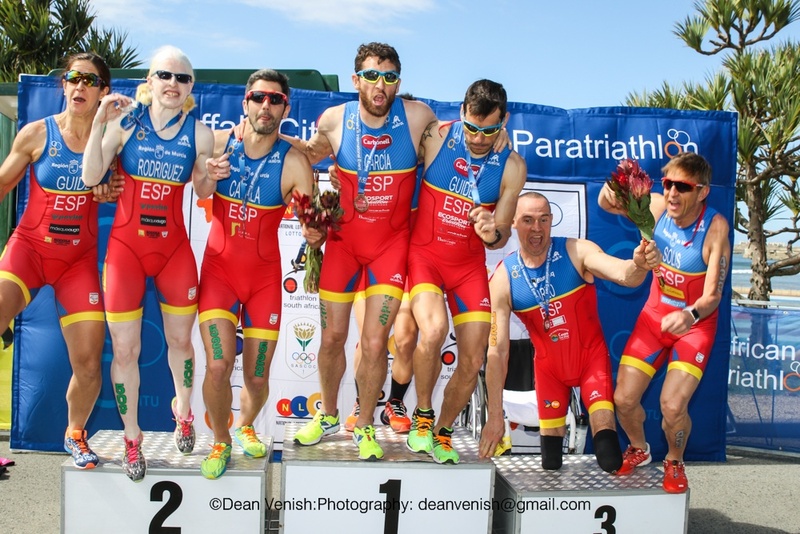 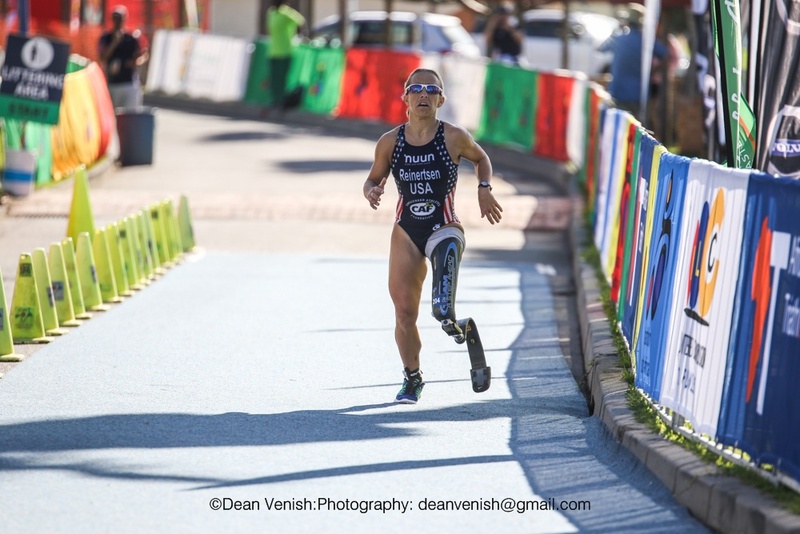 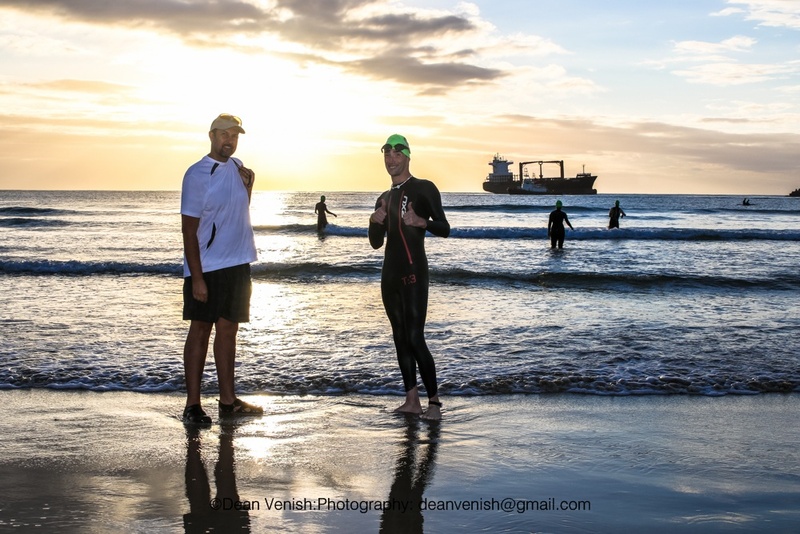 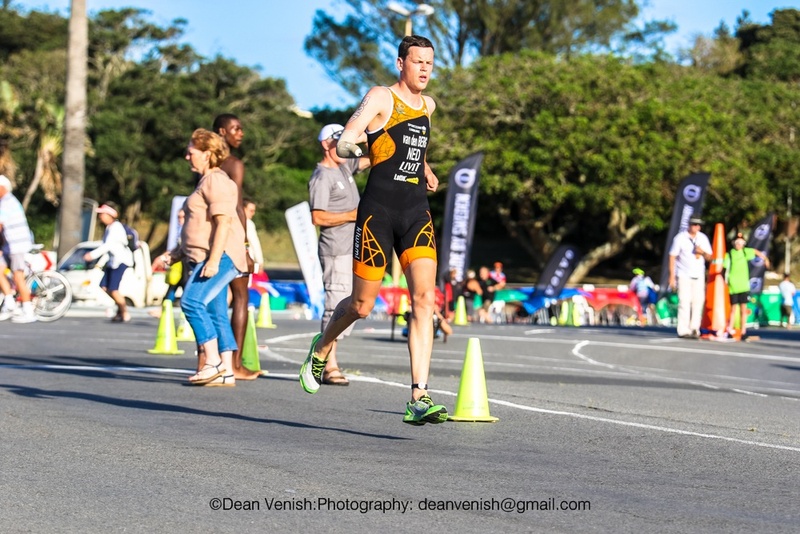 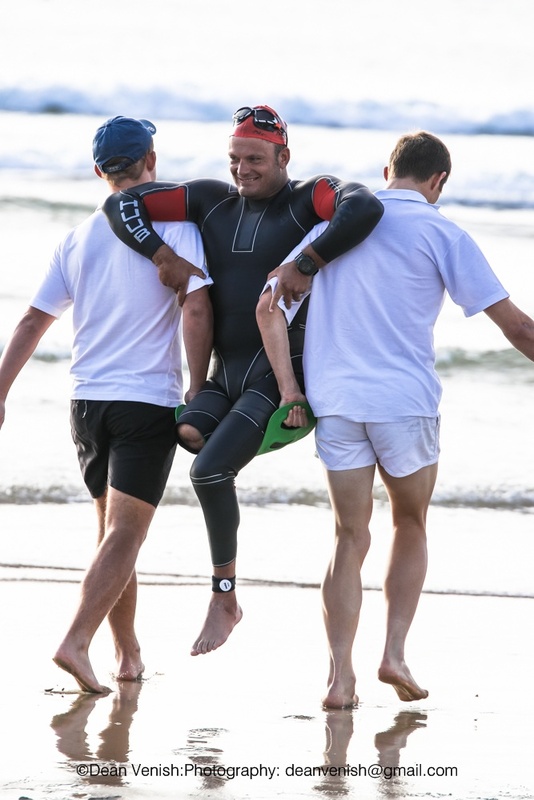 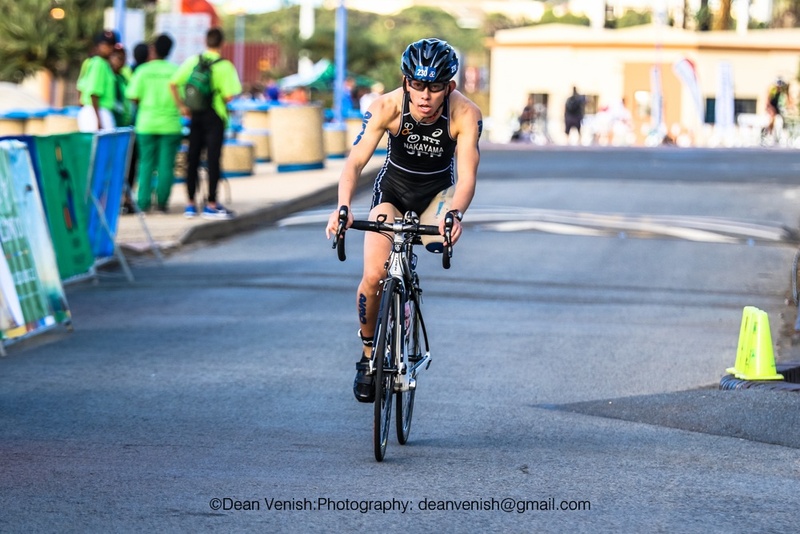 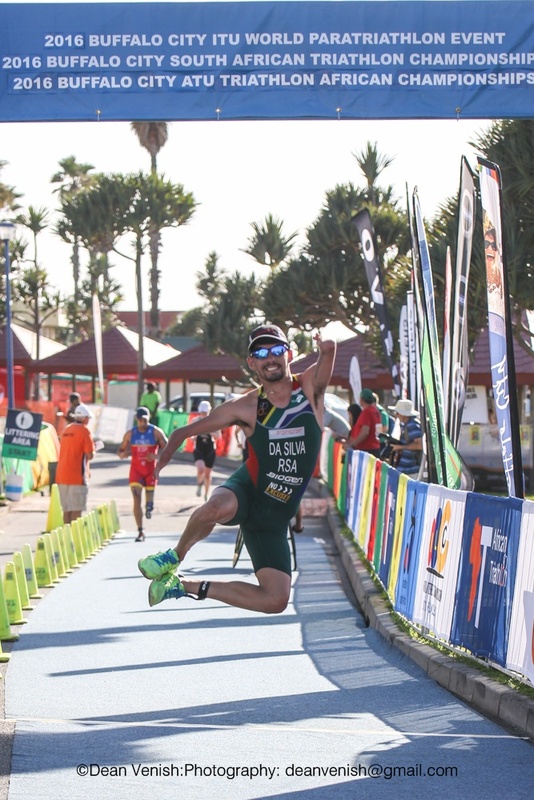 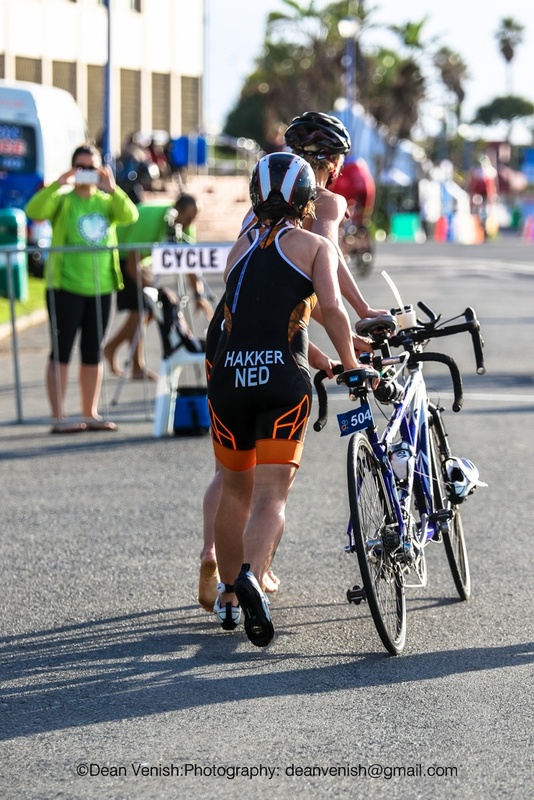 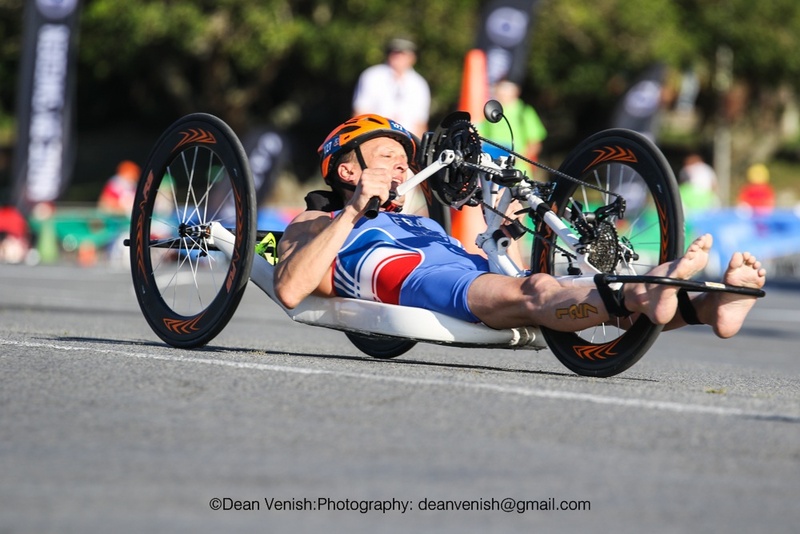 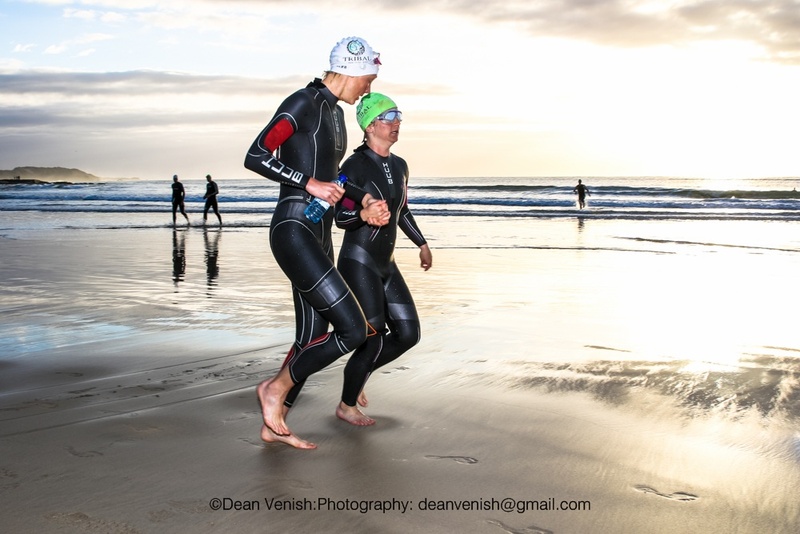 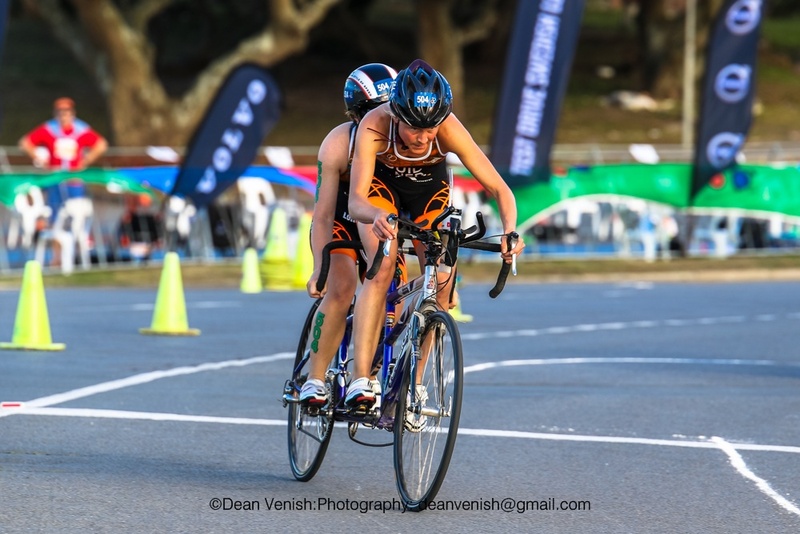 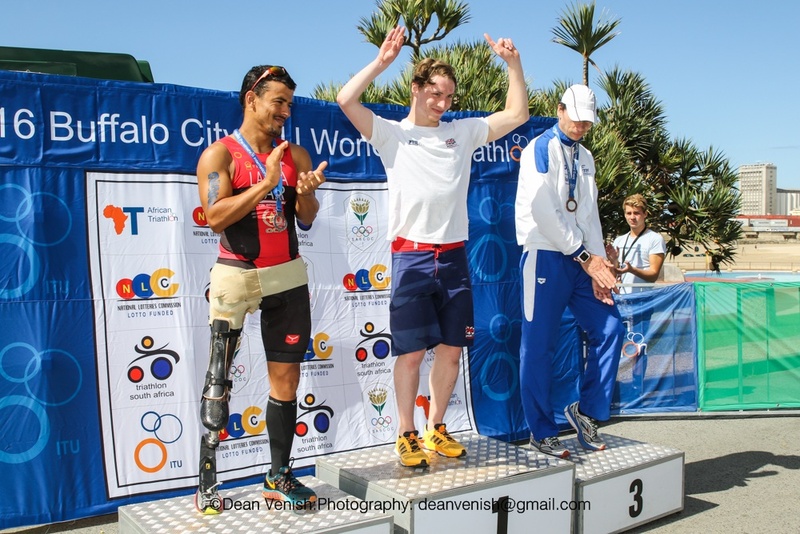 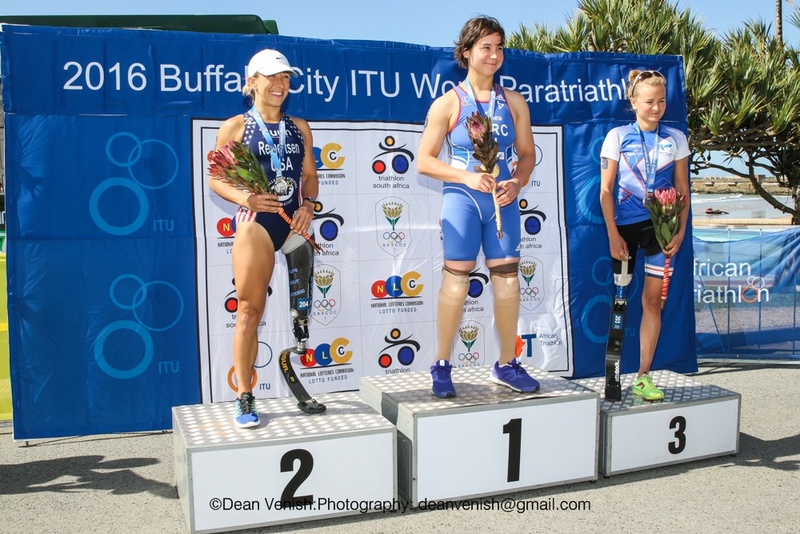 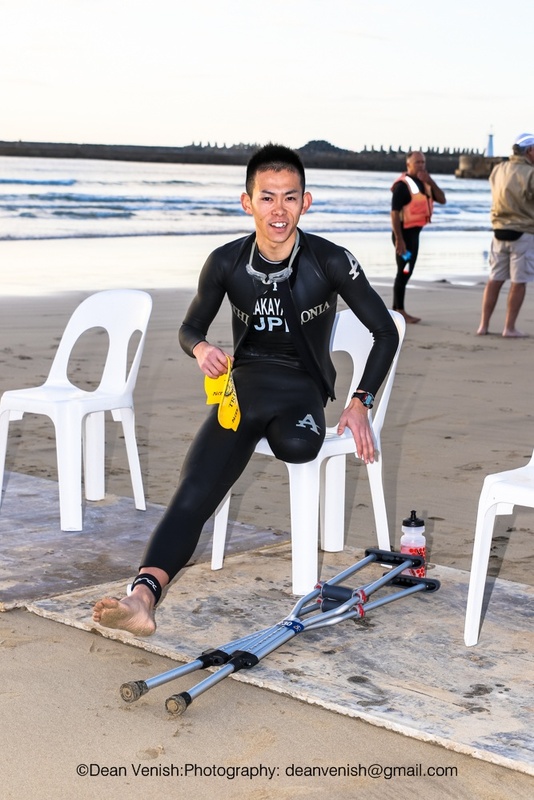 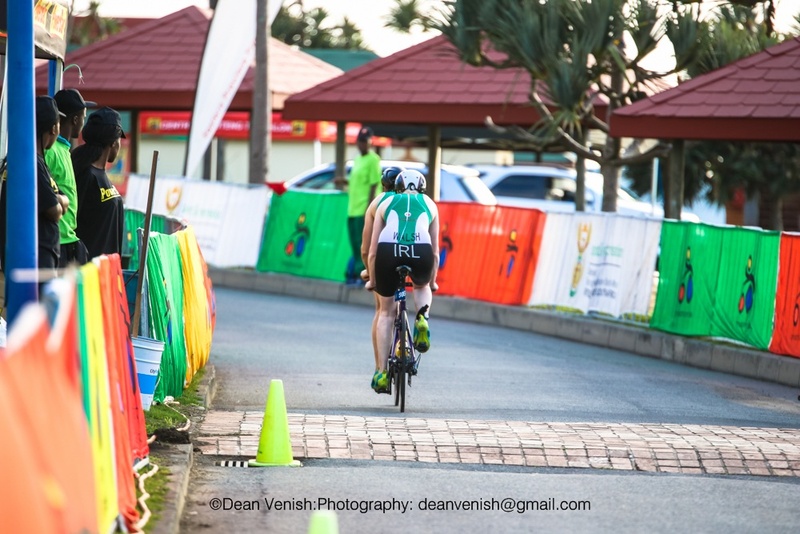 he 2016 World Para-Triathlon Event (WPE) officially opened over the weekend in Buffalo City, South Africa, and numerous para-triathletes started off on a strong note. 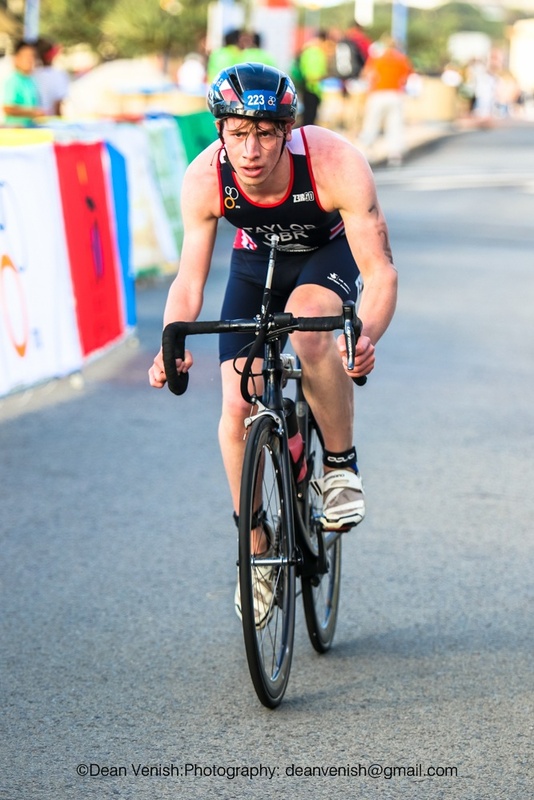 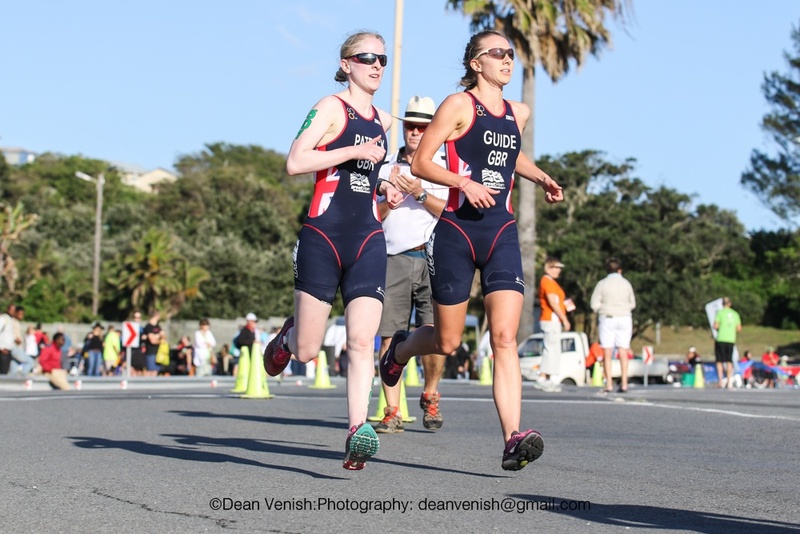 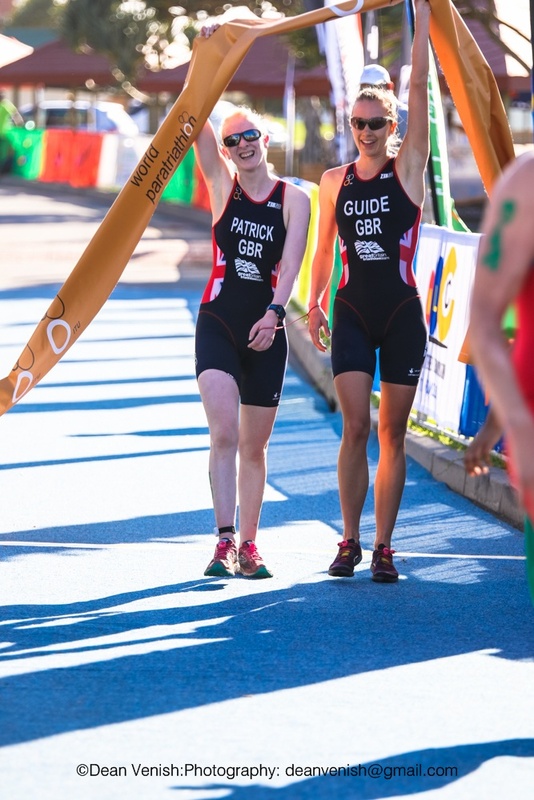 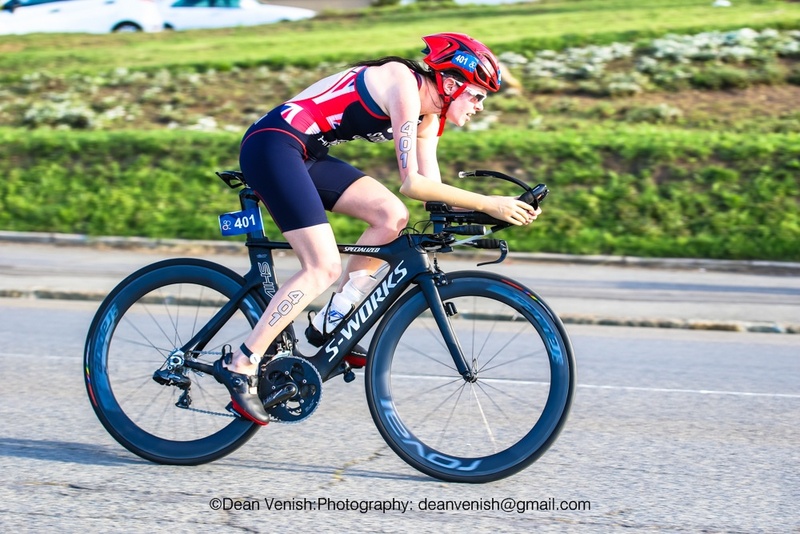 In particular, Great Britain’s Lauren Steadman and Alison Patrick met the British Triathlon automatic qualification criteria for the Rio 2016 Games – where the sport will make its Paralympic debut – by winning gold in their respective classes at the Buffalo City International Triathlon Union (ITU) World Para-Triathlon Event on Sunday (20 March). 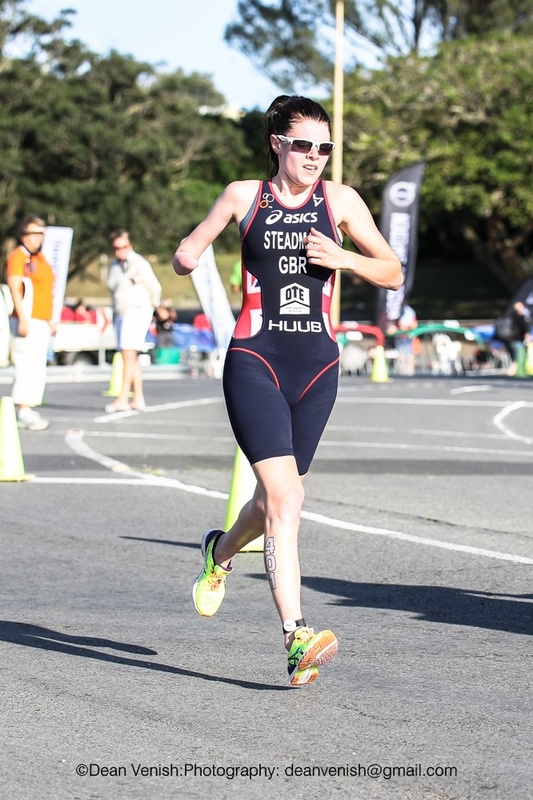 Steadman, 23, won the women’s PT4 in 1:13:00 to qualify for her third Paralympic Games, having competed twice before as a swimmer. 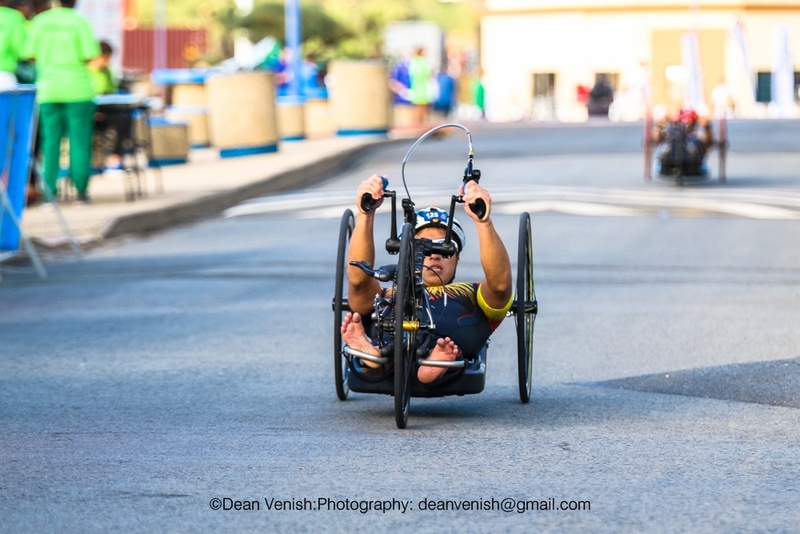 Patrick, 28 won the women’s PT5 race in 1:07:31 for visually impaired athletes, guided by Nicole Walters. 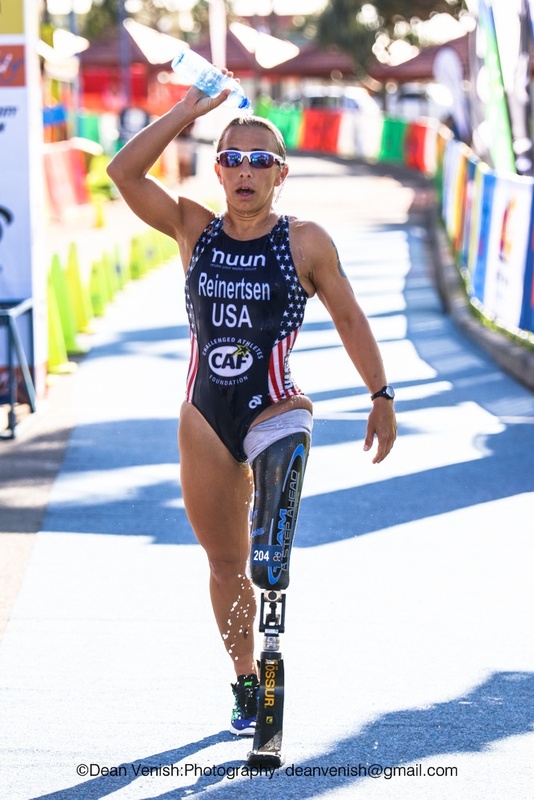 She finished more than three minutes ahead of Spain’s Susana Rodriguez and will look forward to her first Paralympic Games where she will line up against ITU world champion, Katie Kelly of Australia. 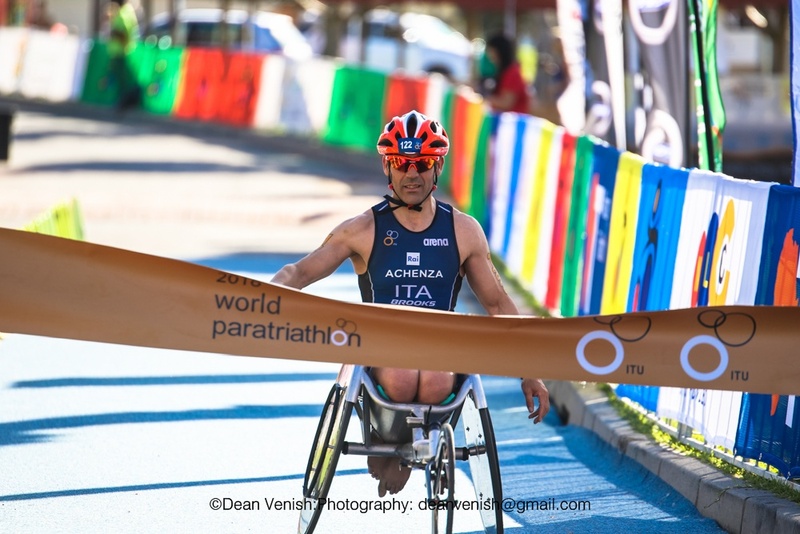 Italy’s Giovanni Achenza took the title in the men’s PT1 division (1:08:00) for his first win of the 2016 season. 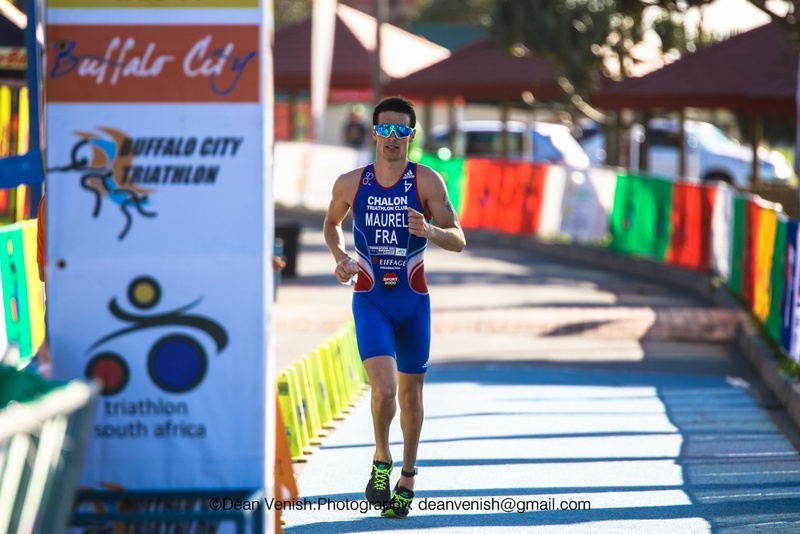 He was trailed closely by Great Britain’s Phil Hogg of Great Britain (1:12:09) and Spain’s Jose Vicente Arzo Diago (1:16:32). 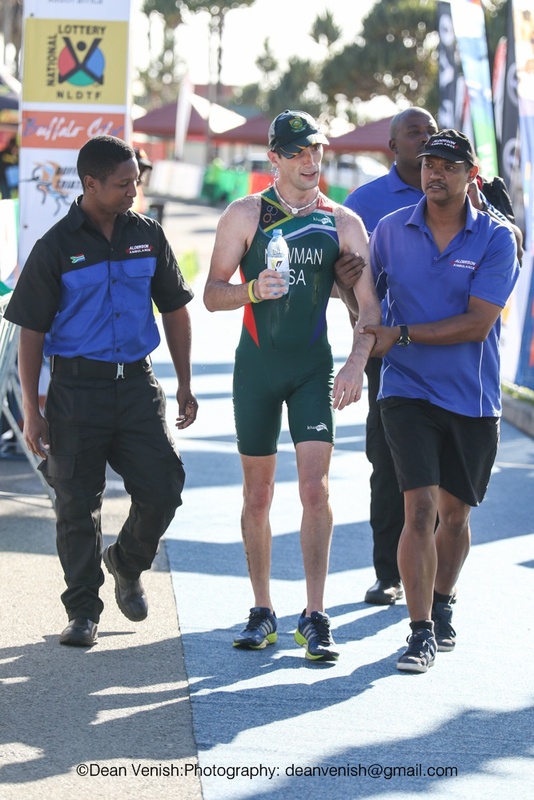 Great Britain’s Ryan Taylor bested favourite Michele Ferrarin of Italy, finishing in 1:13:33. 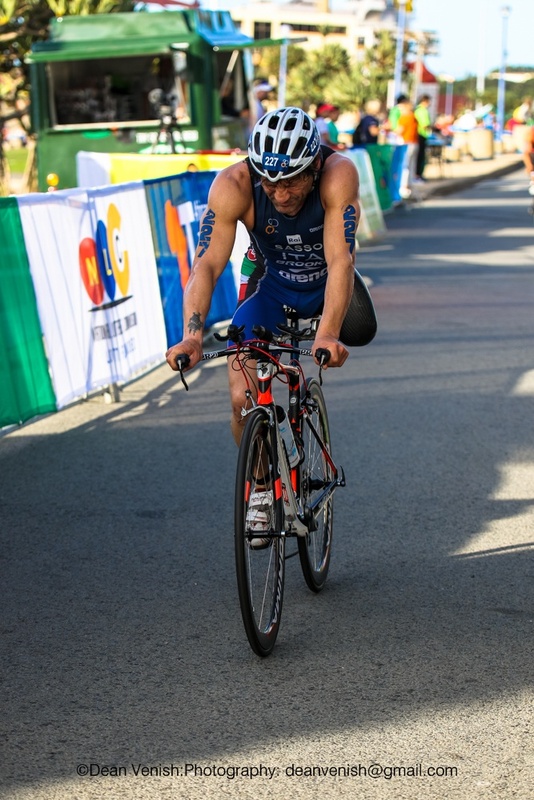 Ferrarin (1:16:23) finished third, behind Morocco’s Mohamed Lahna (1:15:52). 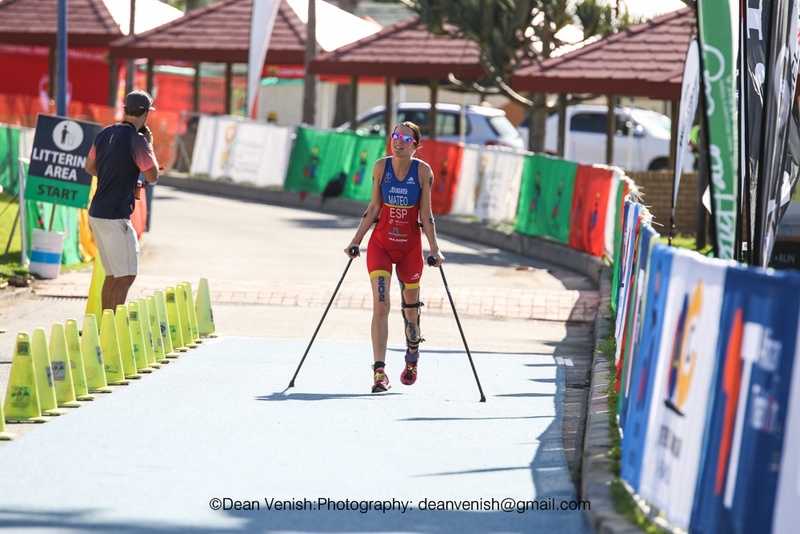 In the women’s side, France’s Elisa Marc crossed the line first in 1:30:14. 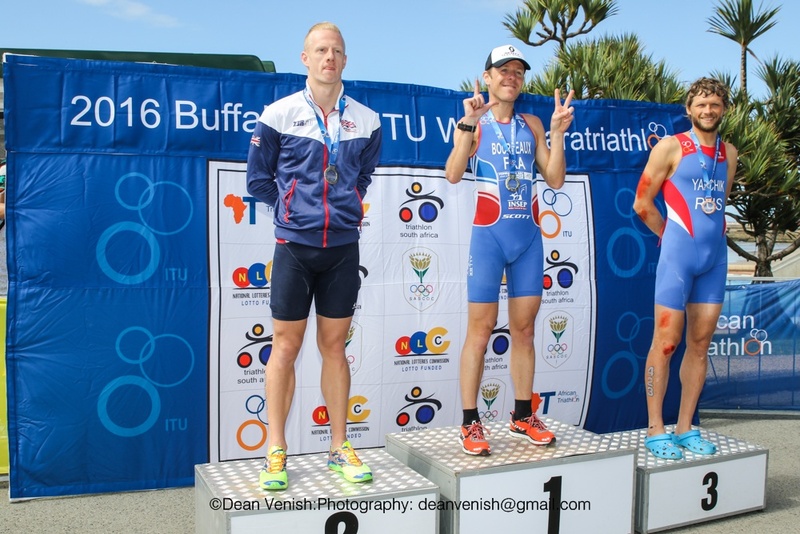 Marc shared the podium with the USA’s Sarah Reinersten (1:33:20) and Finland’s Liisa Lilja (1:35:19). 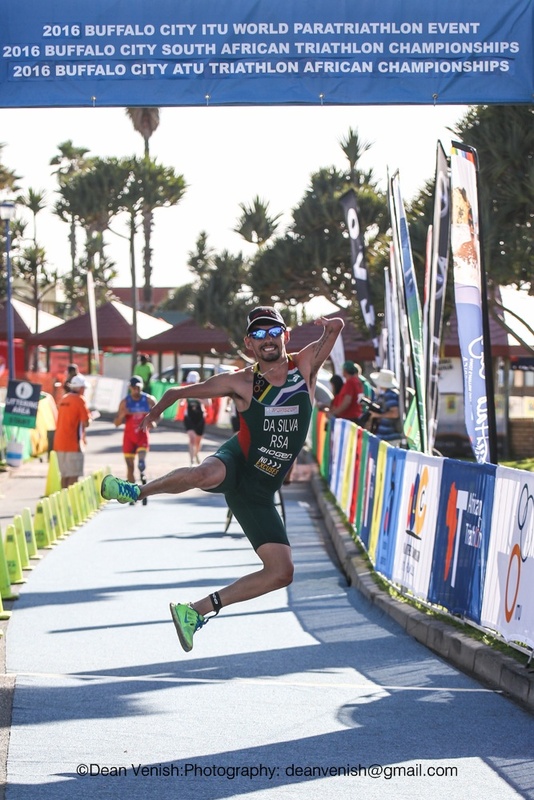 Home favourite Dylan Da Silva (1:16:53) was unable to defend his 2015 title. 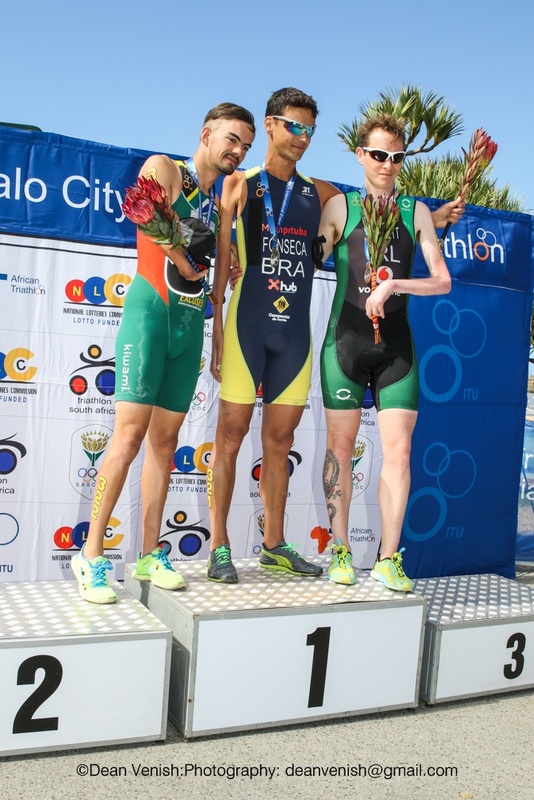 Da Silva was dethroned by 2015 Brazilian national champion Jorge Luis Fonseca (1:11:14). 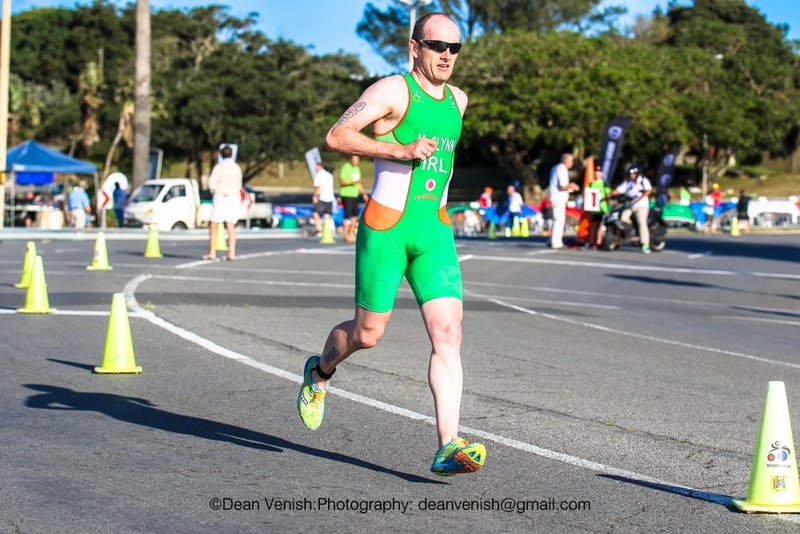 Ireland’s Garrett Turbett (1:25:04) rounded out the top three. 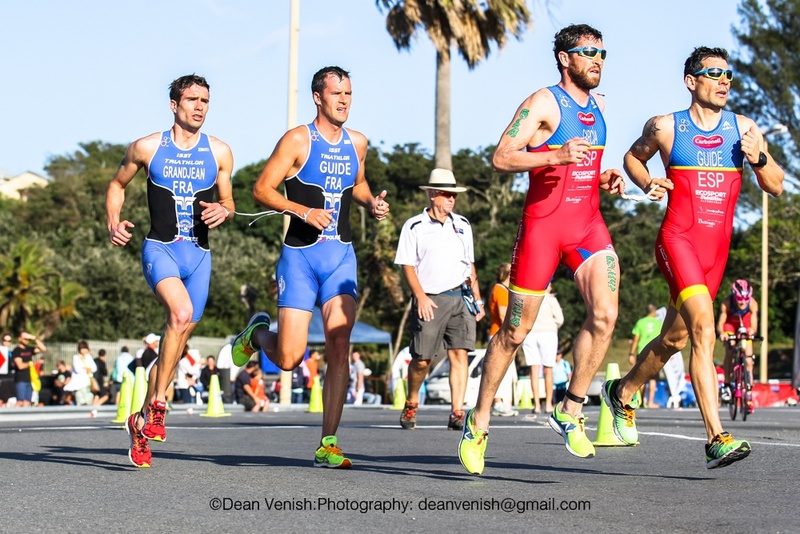 The men’s PT4 race was a tight one. 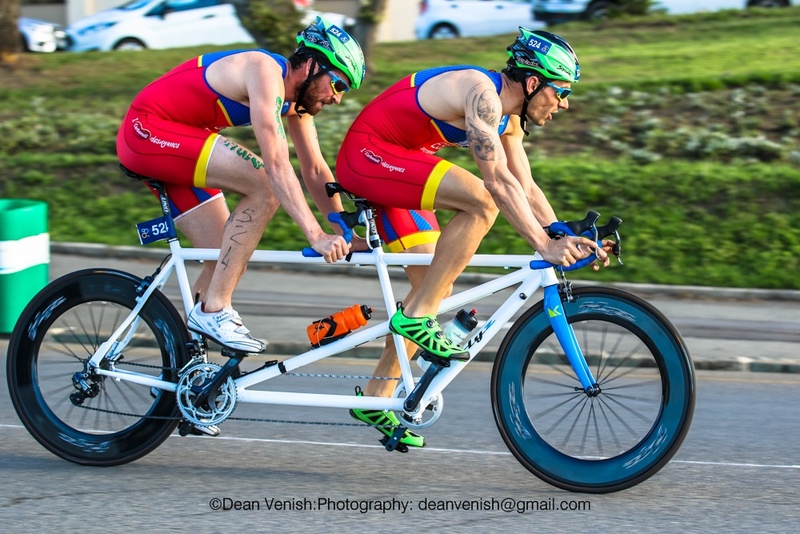 Less than two minutes separated first and third place. 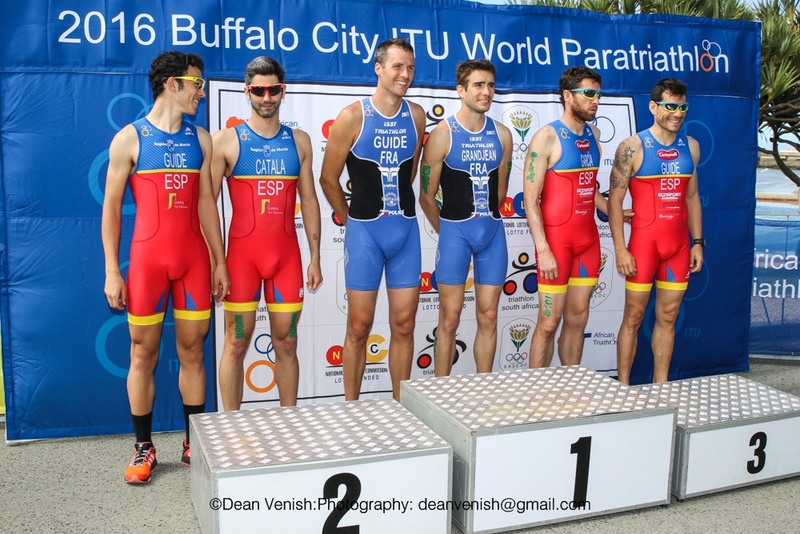 French veteran Yannick Bourseaux took his second Buffalo City WPE title in as many years with a time of 1:04:03. 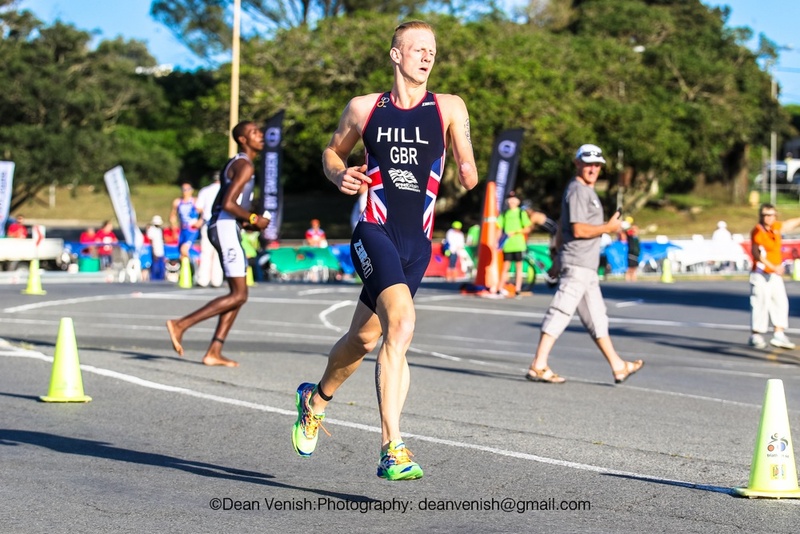 Great Britain’s David Hill took the silver with a time of 1:04:55. 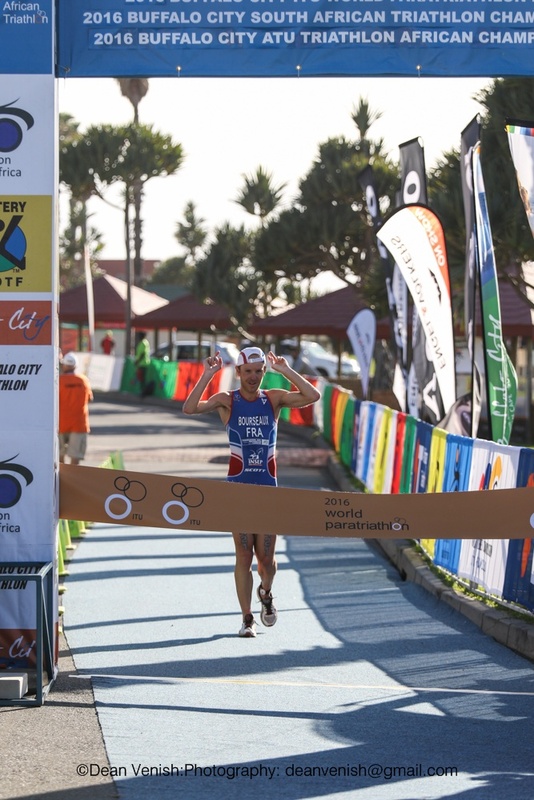 Russia’s Alexander Yalchik took the bronze after finishing the course in 1:05:46. 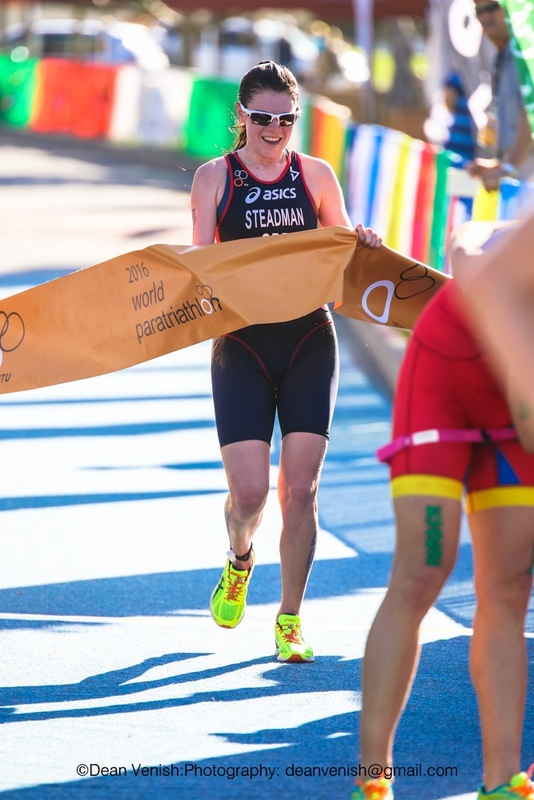 Reigning world champion Steadman got her first win of 2016 season after going undefeated in 2015. 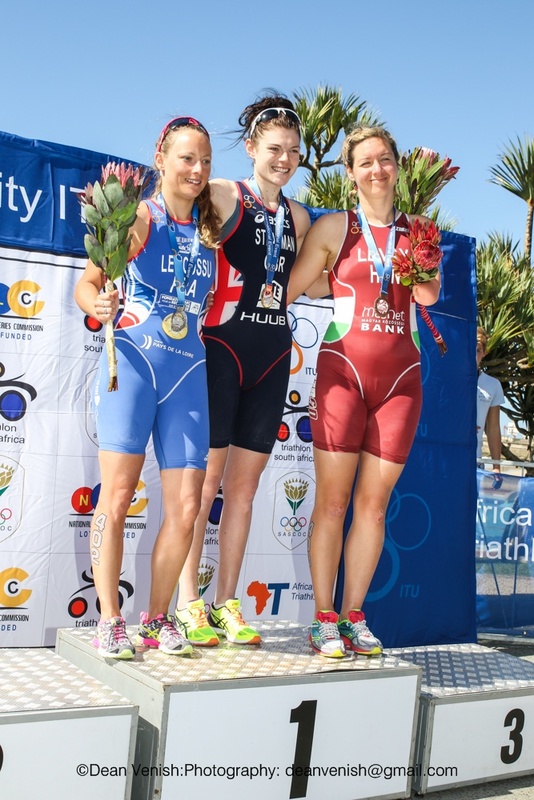 France’s Gwladys Lemoussu (1:18:21) was runner-up and Hungary’s Petra Levay came in third (1:25:17). 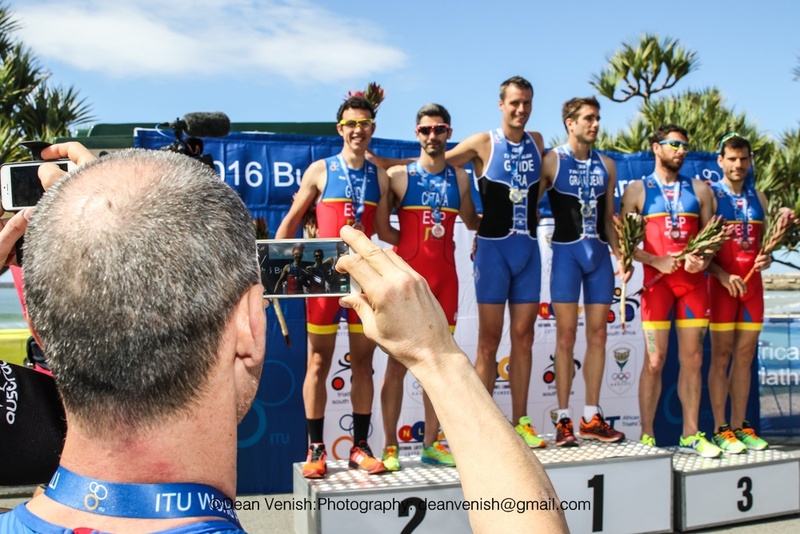 Only 15 seconds separated first and second in the men’s race. 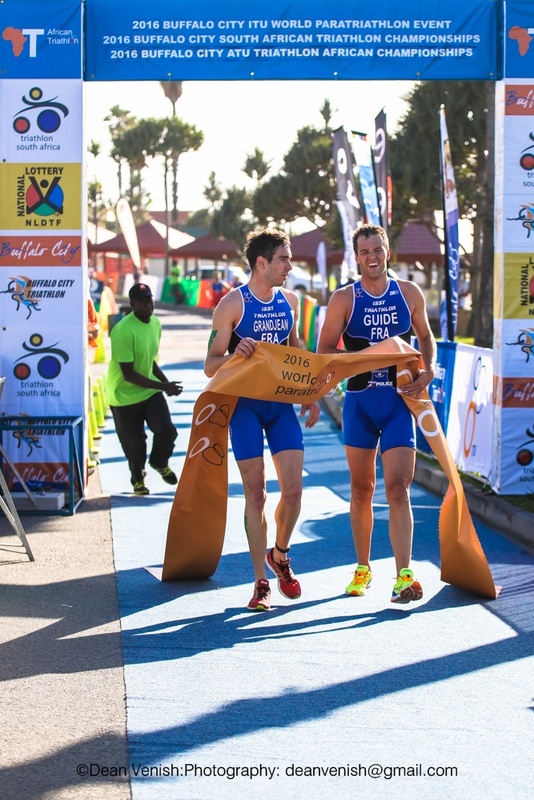 France’s Arnaud Grandjean took first (1:07:19), followed by Spain’s Hector Catala Laparra (1:07:34). 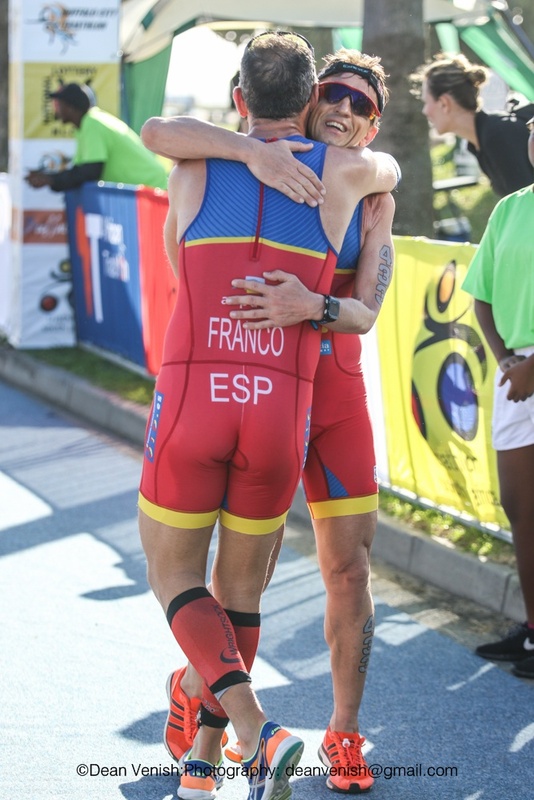 Laparra’s teammate Jose Luis Garcia Serrano came in third (1:10:41). 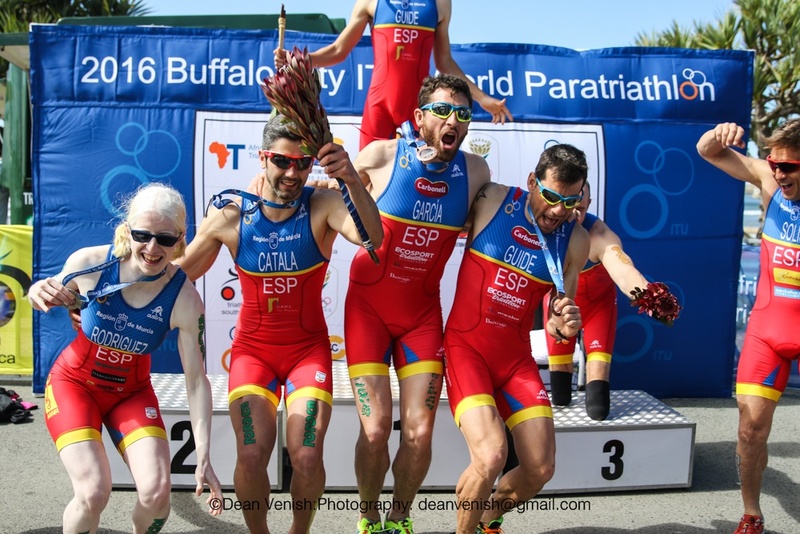 British teammates Patrick and Melissa Reid both reached the podium. 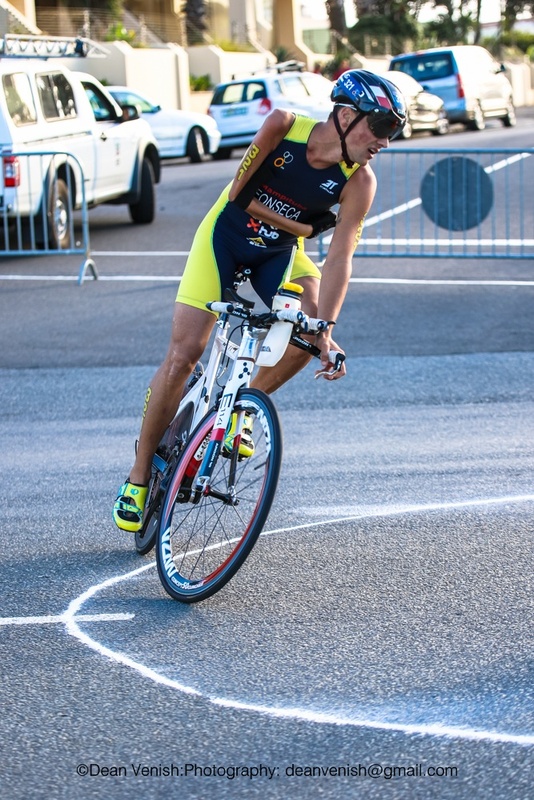 Reid (1:10:59) took third just 14 seconds behind Rodriguez. 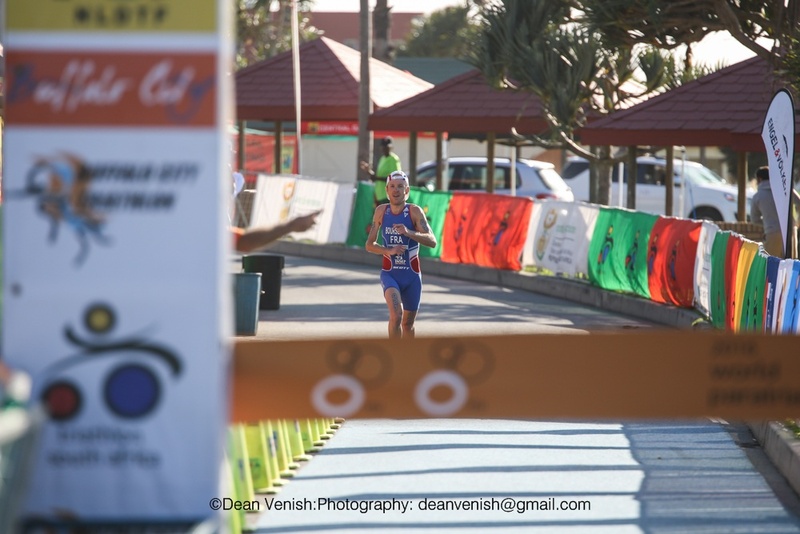 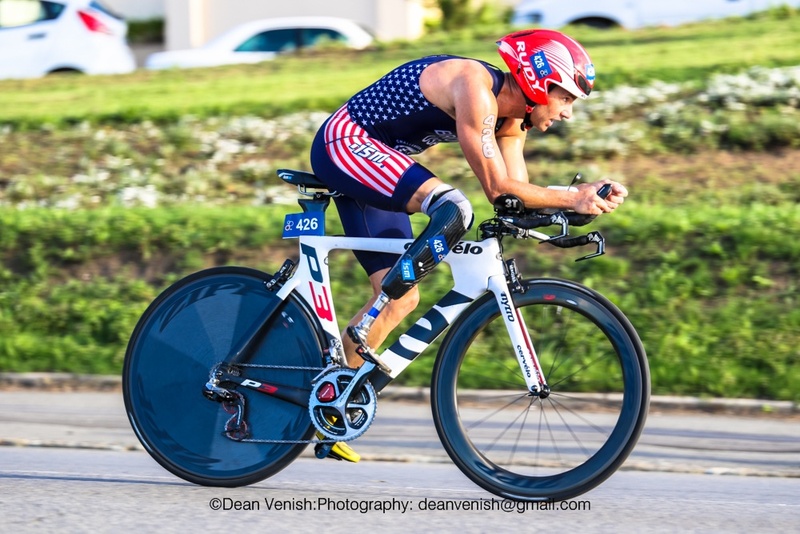 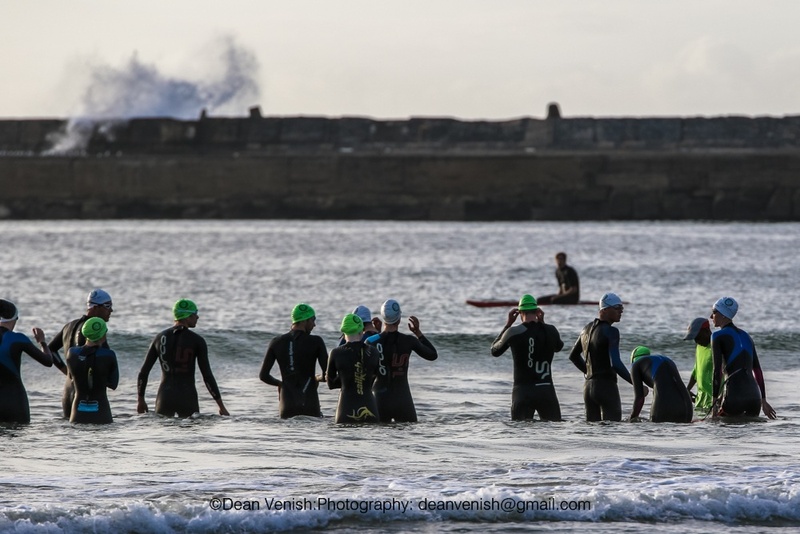 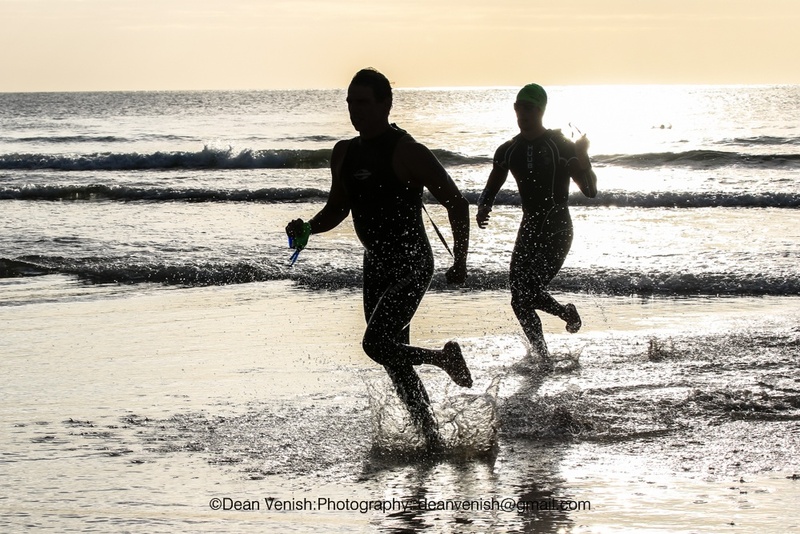 Every race in the ITU series is important this year. 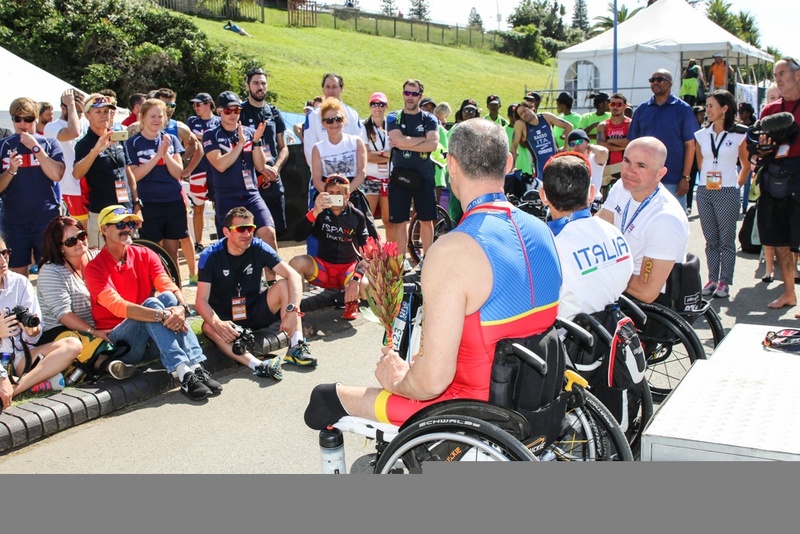 Top finishes will help racers earn qualification points for the Rio 2016 Paralympic Games, where women’s PT2, PT4, and PT5 and men’s PT1, PT2, and PT4 sport classes will compete.